Audio Books – Are They Slowly Becoming the Wave of the Future? Are audio books the wave of the future? Though reading is not a lost art, it’s often difficult for most people to carve out time for it. This is a problem not only prevalent among children but adults as well. Some blame this lack of interest in reading on the advent of mobile technology and the dominance of the internet. After all, the popularity books once enjoyed could be more accurately attributed to their role as a means of entertainment. As information technology becomes more rampant, the internet provides individuals a greater array of distractions than ever before. As a result, physical books are fast becoming obsolete and irrelevant to today’s fast moving society. This decreasing interest in traditional books might explain why audio books are enjoying a surge in popularity. The rise of mobile technology has directly impacted the interest audio books are enjoying today. Most people will agree that hearing certain material read can prove far more interesting and engaging than actually reading the material yourself. 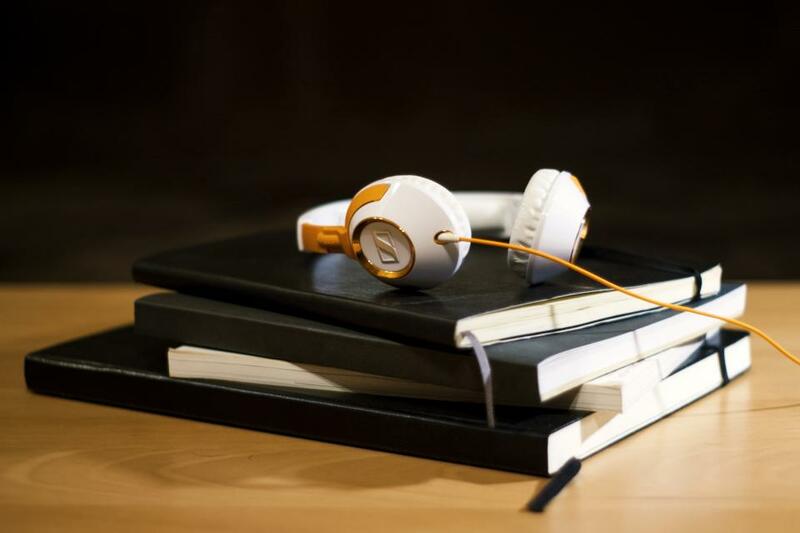 More schools today are incorporating the use of audio books into their teaching structures, taking advantage of the many benefits they bring to the table. ChatEbooks lists some of these benefits. Try to ask people why they do not read as much as they used to. They’ll probably say that they simply cannot find the time. Audio books provide readers the opportunity to enjoy their favorite books without forcing them to ignore their responsibilities. You can listen to an audio book while engaging in any activity that would normally prevent you from reading. Or even those that don’t require much focus (e.g. walking, driving, cleaning, etc.). In fact, audio books will often make such activities so much more enjoyable. Gone are the days when enthusiastic readers would have to traverse dozens of bookstores in the name of locating scarce copies of their favorite books. Audio books are very accessible. If you are an avid reader (or listener), there is no end to the number of books in any genre you can access via the internet. Additionally, one cannot disregard the considerable variety made available by audio books. You can have them on your phone, ereader or computer. From an author’s perspective, audio books are simply more cost-effective than their traditional counterparts. Recording an audio book of decent quality will cost you, not only in terms of money but time as well. However, once you have a digital copy of the audio format of your book, you can rest on your laurels. You do not need more than a single copy of your audio book to reach the millions of readers worldwide. The contrary is true with traditional books – they must be printed and reprinted, several million copies at a time, in order to meet a global need. Simply put, traditional books are not particularly good for the environment. Think of all the trees that must fall to bring any successful author’s books to your local stores. Compare that to the simplicity of simply uploading a digital file on the internet and waiting for interested readers to download it. Audio books simplify the process of sharing literary material. A single audio book can satisfy the needs of multiple readers at the same time. Keep in mind the fact that you do not need to purchase multiple copies of the same book in order to share your favorite literary content with your friends. Multiple readers can also listen to an audio book together, this creating an interesting sharing experience. Although nothing can replace the delight and importance of spending time reading aloud to your child, bringing audio books into the mix of your child’s reading experience has many benefits. With audio books, kids: (1) build listening skills; (2) develop critical thinking and comprehension skills; (3) learn the nuances of pronunciation; (4) acquire new vocabulary; (5) enhances imagination, and more. Listening to audio books is a wonderful way to replicate the old age tradition of story-telling while making it more engaging. Despite the resistance they sometimes attract, audio books may be the future of publishing, destined to transform the reading landscape. I heard about audiobook and podcast since 2008. Yes, it becomes a trend nowadays. Someone predicts audiobook and podcast will boom in the next few years. Most people can use it religiously.